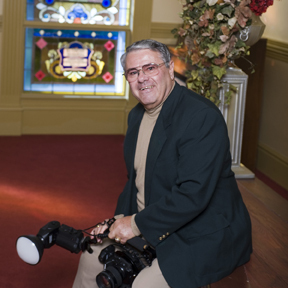 As an Indianapolis Event Photographer, Steve Curtis has many years of professional photography experience, taking his first assignment in 1996. We always strive to create a relaxed and comfortable atmosphere which leads to the most natural-looking photographs – these are often candid photos. Our advanced editing and retouching ensures our subjects look their best. We not only allow custom request packages, but we encourage them. Ultimately, we are here to provide exactly what you, as our highly valued customer, are looking for. It is Steve’s Event Photography’s passion and desire to share, through photography, the human experience – to inspire and uplift by capturing the moments in people’s lives that truly matter. It is our goal that through dedication to our field we can touch the lives of those whom we photograph as well as those around them.